When I was a kid, my mum had a multitude of chicken salad recipes up her sleeve. Sometimes with curry powder sprinkled in, other times with chopped sweet pickles and occasionally with fresh herbs and tomatoes. No matter the flavors, it always struck a traditional tone with a mayonnaise dressing. Honestly, I don’t think it occurred to us to make chicken salad any other way and we all enjoyed it, so we stayed firmly on the mayo train. 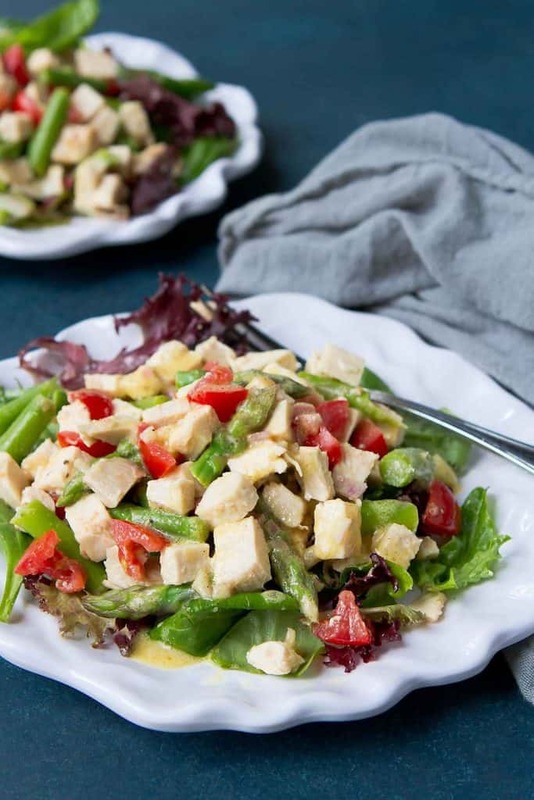 Fast forward many years and I morphed into a fan of Dijon chicken salad, tossed in a light vinaigrette and bulked up with asparagus, tomatoes and basil. 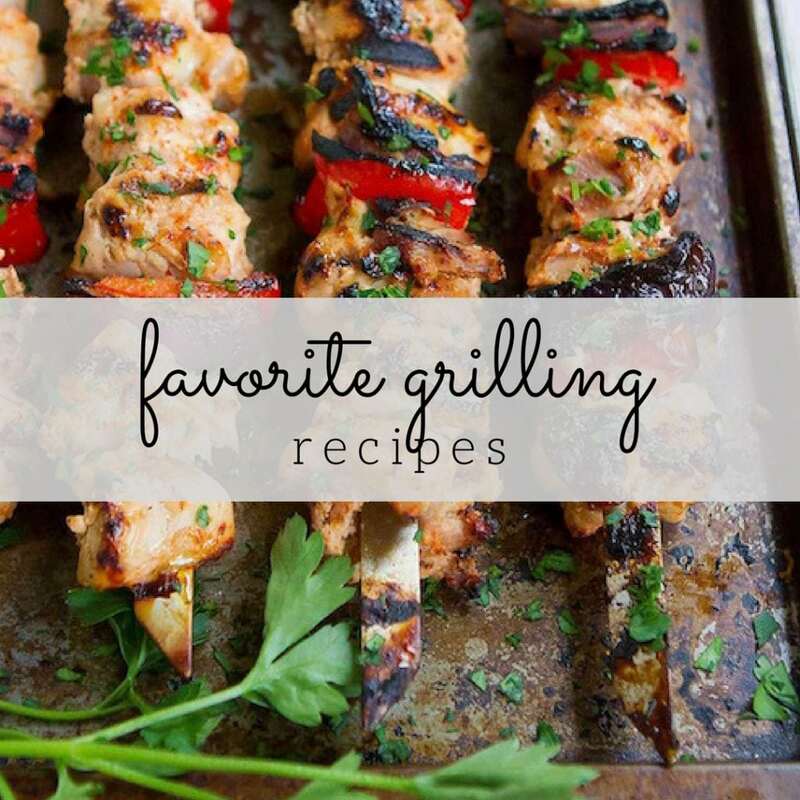 Fresh, healthy and flavorful! 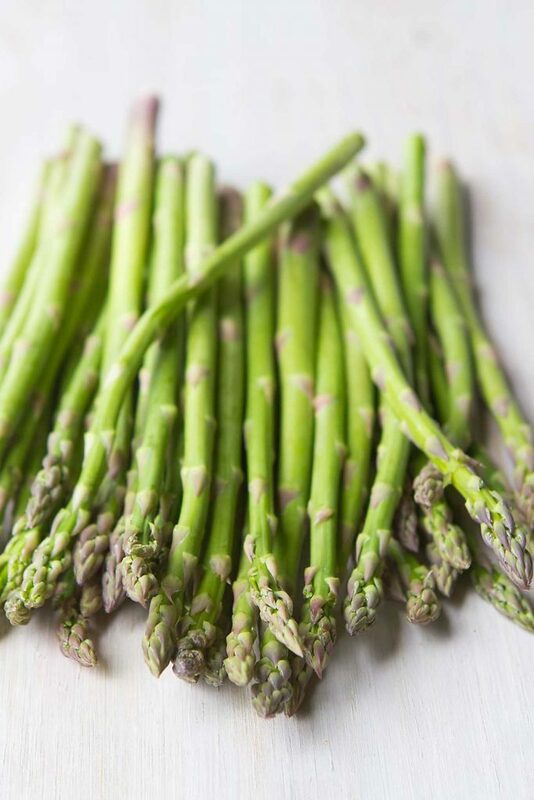 And with spring vegetables coming into season, asparagus recipes are on my mind at every turn. Or specifically, how to make a healthy chicken salad recipe. There are a few options when you’re steering away from the traditional mayonnaise-based chicken salads. 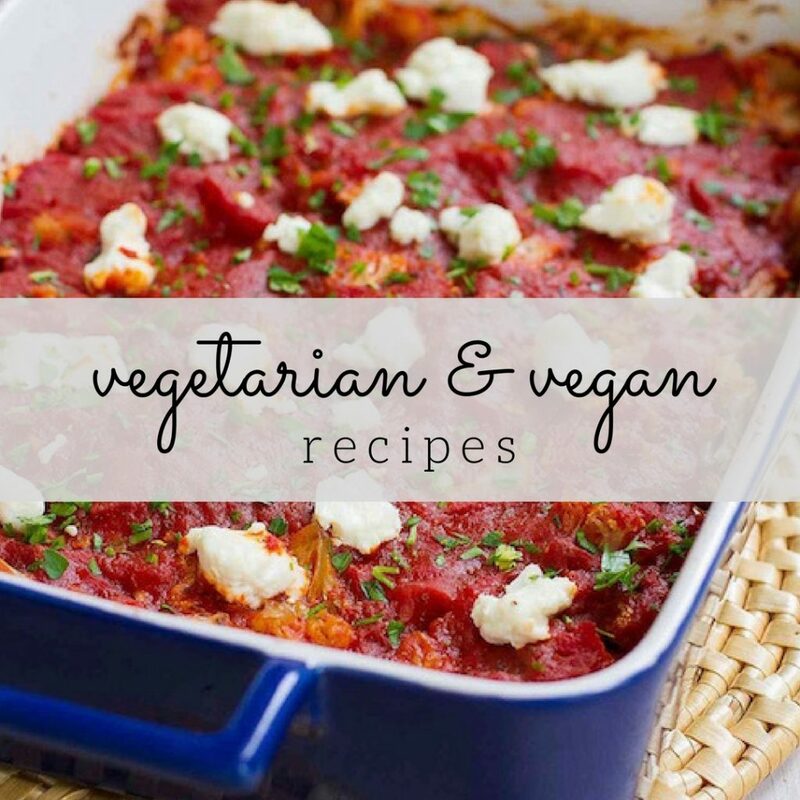 First, load up on veggies! Chopped vegetables, such as celery, tomato, bell pepper, cucumber and asparagus are a great way to add flavor and moisture to your salad. Not to mention nutrients! Second, switch up the dressing. If you really like mayo-based salads, try substituting half of the mayo with Greek yogurt. Or go 100% yogurt and mix in some herbs, such as this recipe. 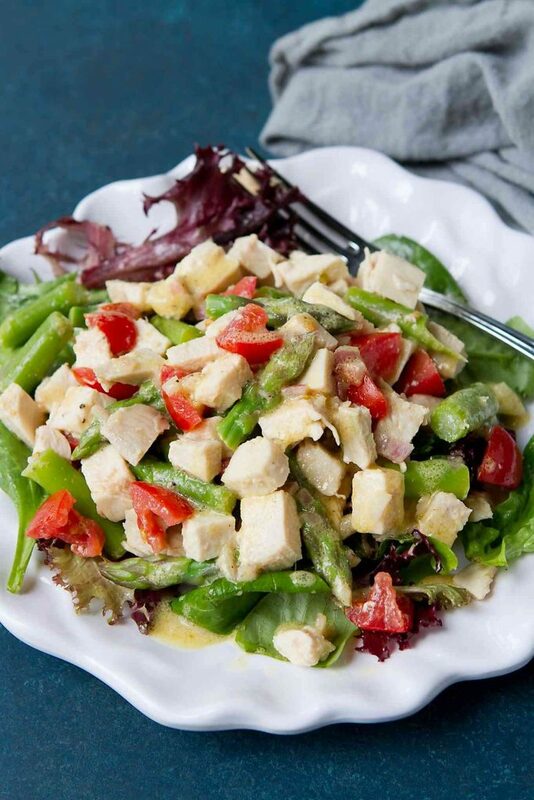 A third option is tossing the ingredients with a light dressing, like in this chicken Dijon salad recipe (scroll to the bottom for the recipe). 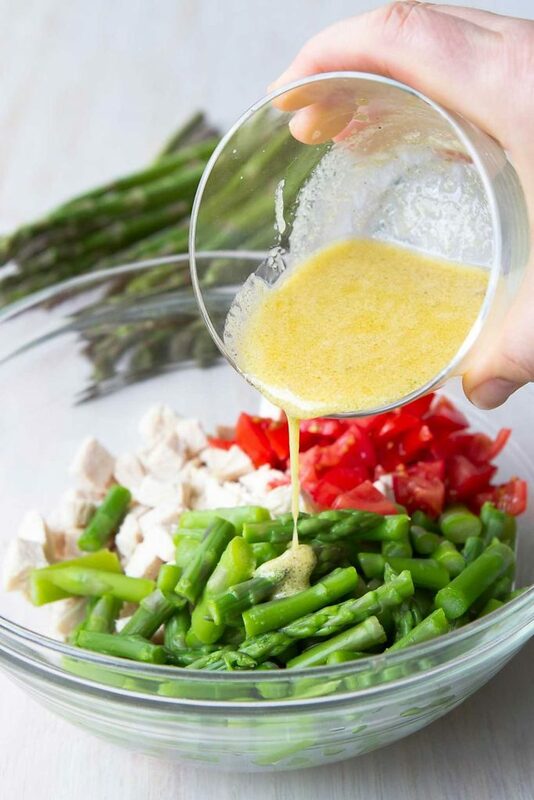 This chicken asparagus salad recipe happens to be made with white meat, but there’s absolutely nothing wrong with mixing in some thigh meat for added flavor and moisture! Serve it on whole wheat bread, open faced-style, or on light crackers like the ones in this recipe or on my favorite lunchtime crackers (affiliate link). 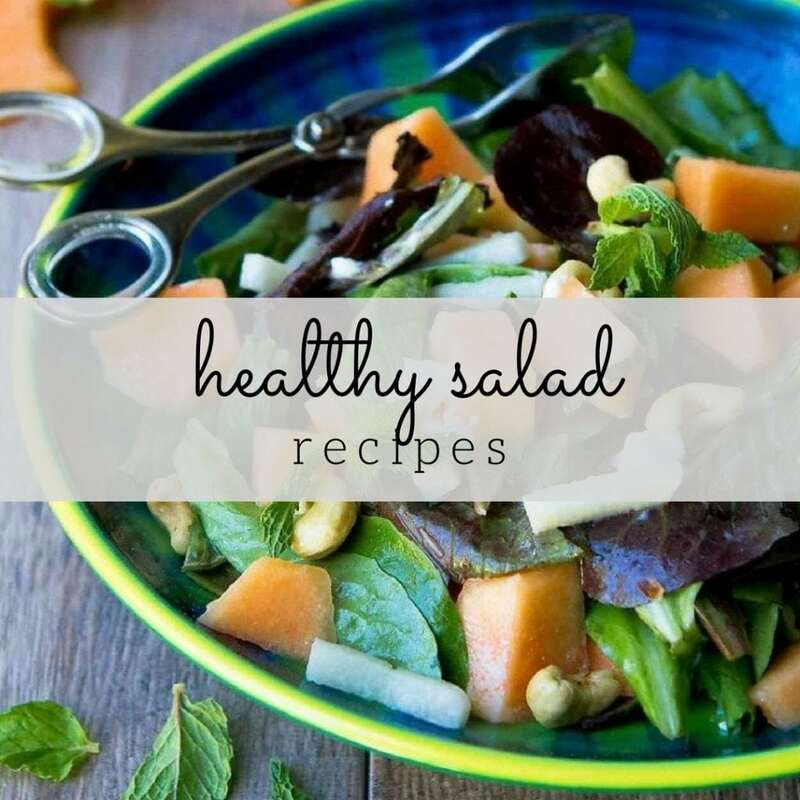 Serve it over a spring lettuce mix, spinach or chopped kale. Serve it over cauliflower rice that’s been sautéed with olive oil and garlic. Serve it in lettuce cups, like in this recipe. Bring a large saucepan of water to a boil over high heat. Prepare a bowl filled with ice water. Add the asparagus spear pieces to the boiling water and cook for 1 minute. Add the asparagus tips and cook for 1 additional minute. Drain the asparagus into a sieve and immediately transfer to the bowl of ice water to stop the asparagus from cooking further. 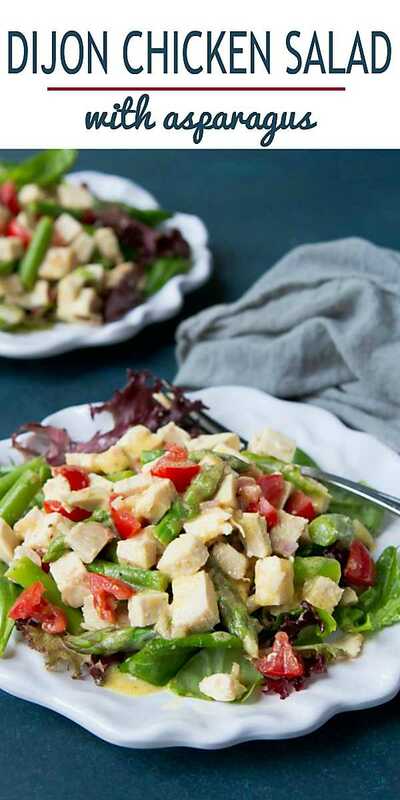 In a medium bowl, stir together the chicken, asparagus and tomato. In a small bowl, whisk together the vinegar, shallots, mustard, salt and pepper.